The Essential Phone was technically the first smartphone on the market with a notch at the top, but rumors of the iPhone X's design had already been circulating by that point. Now there are quite a few notched Android phones to choose from, including the Huawei P20, ASUS ZenFone 5, Oppo R15, and others. The newly-announced LG G7 also has a notch, but LG says it thought of the idea first. At a showcase event for the phone in Seoul, LG mobile division chief Hwang Jeong-hwan said, "We planned the notch design before Apple." He also added that instead of calling it a notch, LG prefers to think of the added screen space as a 'second display.' Whatever you say, LG. The Q&A event also revealed other interesting details. When asked why LG returned to LCD for the G7, Hwang said it was always the plan for G phones to use LCD, while OLED was reserved for the V lineup. He also declined to share a sales target for the G7, only saying, "we do expect better results than the G6." Finally, LG seemed to hint about future Animoji support. 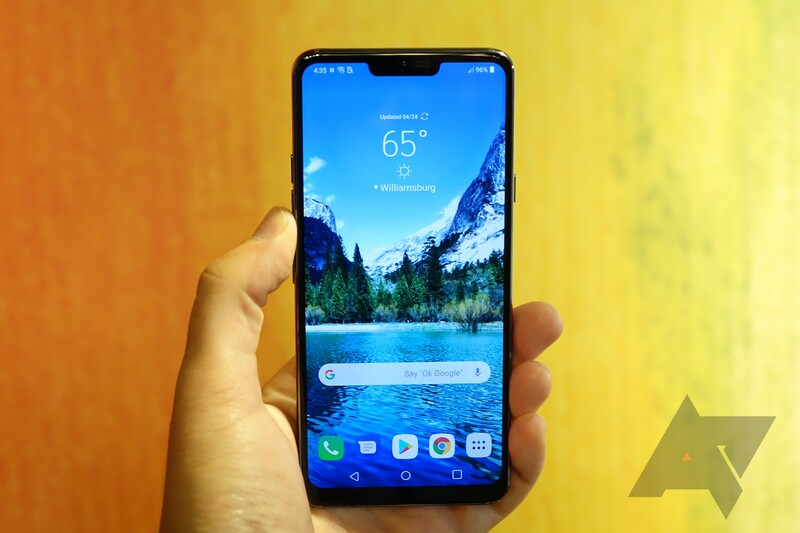 When asked why the G7 lacked the feature, Hwang responded with, "Those software features can be updated later and will be available both on the G7 and other preceding models to meet the demand of consumers who want a longer lifespan for their smartphones."